The first Surf Life Saving Club in the UK | Cornwall For Ever! Bude Surf Life Saving Club was the first to be formed in the country. It was set up with the help of an Australian man who been told about Cornwall’s excellent surf. Today, there are 21 voluntary Surf Life Saving Clubs in Cornwall. An Surf Life Saving Club yn Bud o an kynsa dhe vos formys y’n wlas. 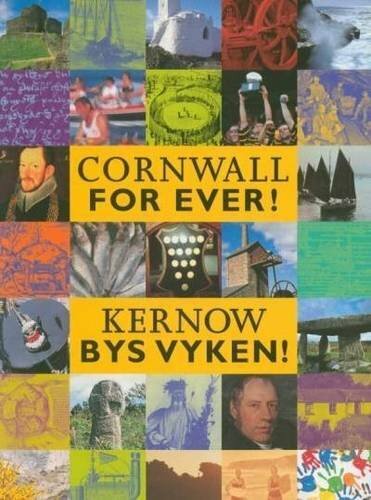 Dyghtys veu gans gweres den ostralek dhodho may feu derivys a-dro dhe vordardh bryntin Kernow. Hedhyw yma 21 Klub Sawya Bewnans Mordardh bodhek yn Kernow. Australian soldiers who were in the UK during the Second World War visited Cornwall and were very impressed by the surf at Cornish beaches. Returning to Australia after the war, some of these soldiers met a man called Allan Kennedy. Allan was involved with surf lifesaving in Australia. The soldiers told Allan about the excellent surf in Cornwall, and he felt he must see it for himself. Allan first visited Bude on 1st May 1952 and also thought the surf conditions were excellent. But because the sea at Bude can be very dangerous, he also believed that there was a need for a surf life saving club. Allan met with the authorities and lifeguards at Bude and sent a report to the Surf Life Saving Association of Australia, asking for life saving equipment to be sent to Cornwall. The life saving equipment arrived in Bude in August 1953. Young people in Bude were trained in surf life saving techniques and then tested by exam. The Bude youngsters successfully passed their examinations and on the 10th August 1953, the Bude Surf Life Saving Club was formed – the first in the country. The Bude Surf Life Saving Club thrives today with an active membership of over 100 adult members and 150 Junior and Nipper members (ages 7-11). Over the years, Bude club members have won several bravery awards and saved many lives. Every year, hundreds of people from Bude and the surrounding area take part in the Christmas Day swim in honour of the long-serving Bude Surf Lifesaving Club member Mike Moyle.